The US military said a recent air strike in central Somalia killed 35 al Shabaab fighters. The United States carries out regular air strikes in Somalia in support of a United Nations-backed government fighting an al Shabaab insurgency for years. In a statement, US Africa Command said the strike took place near Beledweyne, Hiran Region in Somalia. “This air strike targeted armed al Shabaab militants transitioning between locations in a rural area,” the statement said. The pace of strikes has increased recently it is unclear what lasting impact, if any, they have on the militant group. 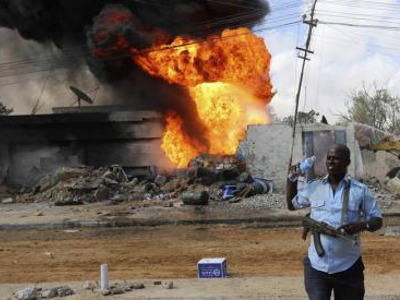 Al Shabaab wants to overthrow the UN-backed Somali government and impose strict Islamic law.